Karen Friedman is not only an in-demand public speaker and an acknowledged expert in the field of communications, she’s also a prolific author. In her books, Karen gets to the heart of the matter, sharing her perspectives, her experiences, and her wisdom. 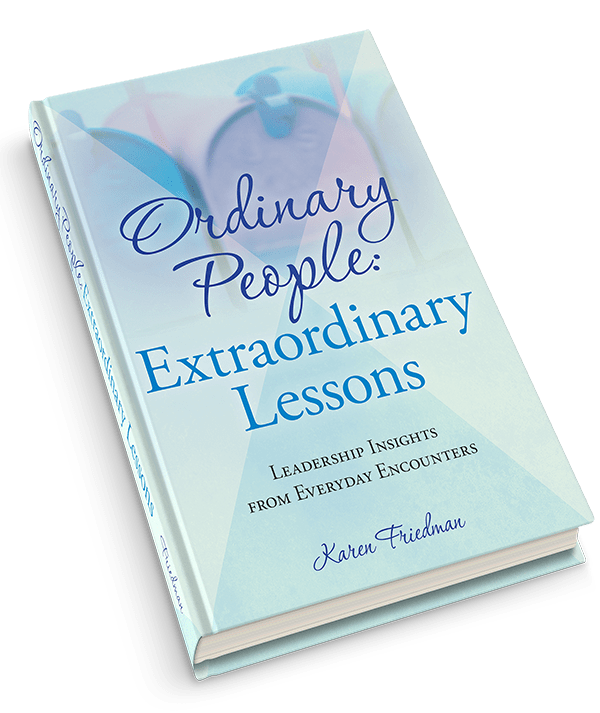 Based on author Karen Friedman’s long-running column in the Philadelphia Business Journal, Perspective on People, Ordinary People: Extraordinary Lessons is a compilation of anecdotal lessons from everyday life. From hilarious to heartfelt, entertaining to enlightening, each story portrays a unique challenge and reveals a new perspective on how to overcome obstacles and create more meaningful interactions with others. Learn how to convincingly communicate their expertise in any business situation: this book demonstrates how to condense complicated concepts, minimize communication mistakes, avoid misinterpretation, convey vision, and quickly influence decision makers. Strategies for expressing yourself succinctly and clearly, dodging “loaded” questions, thinking fast on your feet, humanizing inscrutable information, and using humor to engage an audience are examples of the topics covered. The importance of prioritizing outcomes is emphasized throughout the book. Do you make a great impression every time you speak? You don’t need to read another lengthy book to find practical techniques and strategies to engage listeners, speak with confidence and impress important audiences. 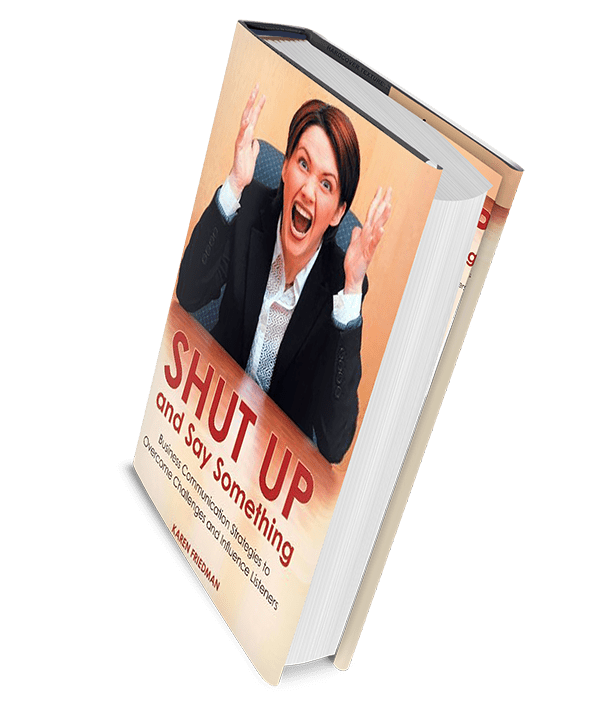 Packed with worksheets, checklists and a wealth of practical how-to tools developed by business expert Karen Friedman, this powerful resource will teach you how to avoid common mistakes, condense complicated material, battle butterflies, and connect with listeners the moment you begin to speak. If your answer is yes to any one of these, you need to read this book! Those who choose to travel the road of success must also travel the road of continuing education. Success is about being prepared. Every time you read a book that contains the experiences of successful people, you are advancing on your own personal road to success whatever that word means to you.